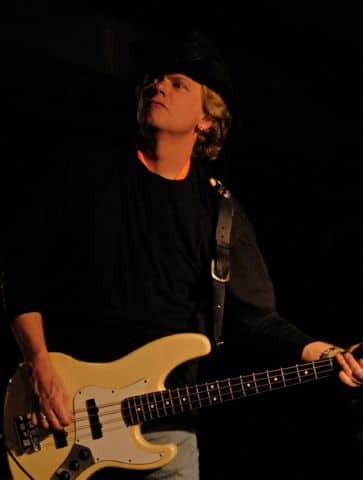 It is with great sadness that we have to announce that Wim den Boer, bassist with The Cotton Soeterboek Band, passed away September 3, 2009 from a heart attack. Wim den Boer was a gifted musician, performer and a consummate bass player. Wim started his career in Reinforced Concrete and later on in Aggressor. He was one of the founding members of Abyss and later joined Jeff & Co, with whom he recorded several successful albums for in Holland. Wim joined The Cotton Soeterboek Band in 2006, as well as playing with Silver Dollar and Four 4 The Road. Wim is survived by his wife Marja, his son Leslie and his twin daughters Amy and Daisy.